Kissht (previously known as Fastbanking) is a credit-led payment solutions company that provides consumers seamless and easy to access credit for purchases across online and offline channels. Core to their technology is a credit IP that leverages alternate data sets and is able to assess credit worthiness of new-to-credit and lower income segments in a real-time / instant process to enable on-the-spot purchase. The Kissht platform is a fully digitized and automated fulfillment platform that supports all types of credit led purchases - an EMI-based loan, a debit-card EMI solution (leveraging bank transaction data of the customer) and credit-card EMI solutions. The platform is fully integrated with credit bureaus, Aadhar, UPI and NSDL. Currently, the platform is live across 35 online merchants (Zopper, Caratlane, Shop clues) and at over 2,000 physical touch-points of 25 OEMs such as Prestige, Hitachi and Bluestar. Kissht's android app provides a convenient interface for account management, payment options and promotional offers for consumers. Ventureast invested in the pre-series A round of funding. 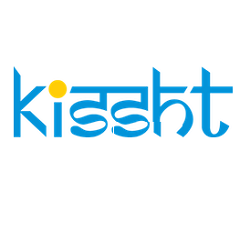 Kissht was founded by Krishnan Viswanathan, an IIT-Delhi and Yale University graduate with 15+ yrs of experience in financial services, digital and mobile sectors. He was previously with technology startups in the bay area and subsequently with McKinsey & Company before starting on the entrepreneurial journey.